Announcing the winners of the “Through the Lens of Amazing Kids!” Photography Contest! We applaud the winners not only for the quality and creativity of their photographs, but for capturing a charitable act or event in which they were involved. We hope that by viewing their winning photos that you will be inspired to start thinking about what you can do to help others too! Each winner will receive a signed copy of Hank Wasiak and Kathryn Cramer’s book, Change the Way You See Everything For Teens, Through Asset-Based Thinking. Congratulations again to our winners and thanks again to everyone who entered! On May 8th 2010, we attended the annual Kids Creek Fest in Fernandez Park, Pinole, CA. This is an environmental fair for young children and their families. Its purpose is to teach them to take care of the environment and the creeks. In this event there were a lot of non-profit organizations holding information booths. 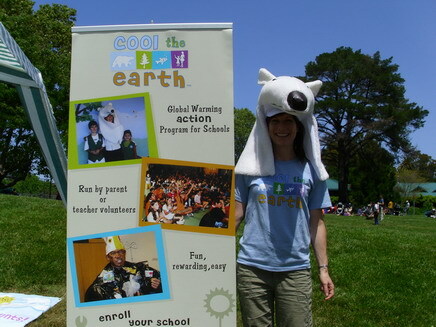 One of them is called “Cool the Earth.” The Cool the Earth organization educates students and their families about global warming and inspires them to take simple actions to reduce carbon emissions. The lady in the photo is a volunteer from Cool the Earth. She held the booth to provide information about Cool the Earth and the importance of our involvement. I had fun and received an action booklet from her, I hope Cool the Earth can come to my school some day. This is Beliz. 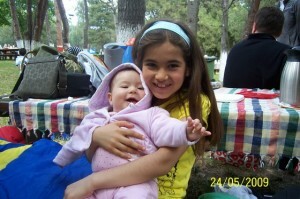 She is the baby in the photograph, my friend Helin’s sister. I’m helping Helin. How am I’m helping Helin? Beliz is crying and Helin is ill. She has flu. Who can look after Beliz? I look after Beliz and Helin’s mom comes and takes her to the hospital and I help take care of Helin. That is how I am doing good in the photograph. My father travels every year to Mardin in the South East of Turkey, for a rally. He used to tell me lots of stories about the region also very well known as Mesopotamia. I was touched the most, by the poverty of the children living in the little villages there. Most of them don’t even have shoes to wear. When my father told us that we will all go together the next year, my mother and I started to think of a way to help these kids. With the help of all the Classic Car Club members we collected enough money to help two village schools. We were able to buy for all the children of these schools winter jackets, winter shoes, a pair of sneakers and lots of pens and paint, things we all need in school. With my camera, I took a photo of a girl in one of the villages, eating a cookie we brought them. Back home, I started to collect clothes, books and toys that I do not use anymore and my friends are helping me. Because the new school year is coming soon, we want to bring more help to these poor kids. On April 14, 2010, a select group at Roger Ludlowe Middle School, including myself, journeyed down to Ecuador, to help the Ongota tribe and explore the country. A week before our trip, a terrible mud slide destroyed their village, and killed people in nearby towns. When we arrived in the village, we did not see what we expected. Although their village was in ruins, we witnessed true happiness. As our bus pulled into their village, children came running towards us with smiles stamped on their faces. Although their village was destroyed, they turned toward gladness, instead of sorrow. This is truly an example that I believe we can all learn from. While we were there we distributed gifts such as school supplies, clothes, toys, water filters, candy and so much more. We also played games with the children, like soccer, and practiced our Spanish with them . Although it was heart wrenching to see the pain and problems around the community, our visit was eye-opening and rewarding; I wish all Americans could experience it. The picture above is of an Ongota girl, approximately 10 years old. In her hand is one of the pencils and notebooks that we distributed. Around her shoulder is most likely her baby brother/sister, who she was watching for her mother. While we were in the Ongota village we saw many children watching their baby siblings for their parents. I took this photograph of Lea-Celine, a beautiful two-year-old girl with hip dysplasia, club feet, and a curved spine, while I was volunteering with special-needs infants at a pediatric hospital in the most impoverished part of Romania this past summer, as part of a self-funded volunteer vacation that I organized and planned by myself. Lea-Celine’s angelic smile clearly indicates the joyful atmosphere of Tutova Hospital, where I worked amongst local doctors and nurses for three weeks, even though all of the twenty-one children who stay there have various mental and physical disabilities and are abandoned by their parents. During my time in Romania, I fed, held, talked to, and played with the babies abandoned at the hospital, giving them all of the stimulus and nurturing that they deserve and which is so incredibly crucial for normal childhood development. This trip was definitely an unforgettable experience; helping these disadvantaged children to develop normally despite the numerous challenges they face genuinely had a profound effect on me. When I returned from Romania, I created a slideshow with the photos that I had taken during my trip, and gave presentations to classes at my school to open people’s minds and hearts to the suffering of others, and to inspire fellow students to step out of their comfort zones and plan volunteer trips of their own. I received by far the most compliments for this photograph I took of Lea-Celine, and many people approached me afterwards and expressed their desire to volunteer somewhere themselves as a result of being motivated by the photos that I had taken. P.S. Though our contest is now over, Amazing Kids! 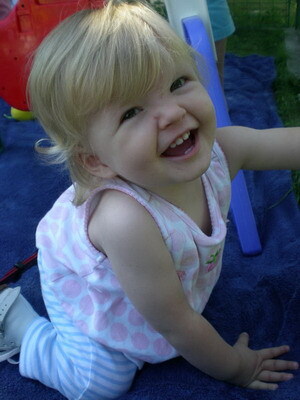 is always on the lookout for quality photographs taken by kids for our Amazing Kids! Online Magazine. You don’t have to enter a contest to have your photography published in our magazine! Email our editor to learn more about how to submit photos for our magazine: editor@amazing-kids.org.